Ultra concentrated fat burner for super strong effects. Activates metabolism and burns extra calories. Take 1 Black-Cap in the morning and 1 Black-Cap in the afternoon. This is an ultra concentrated formula of extreme potency. NEVER EXCEED 1 BLACK-CAP PER SERVING. NEVER TAKE MORE THAN 2 SERVINGS IN A 24 HOUR PERIOD. 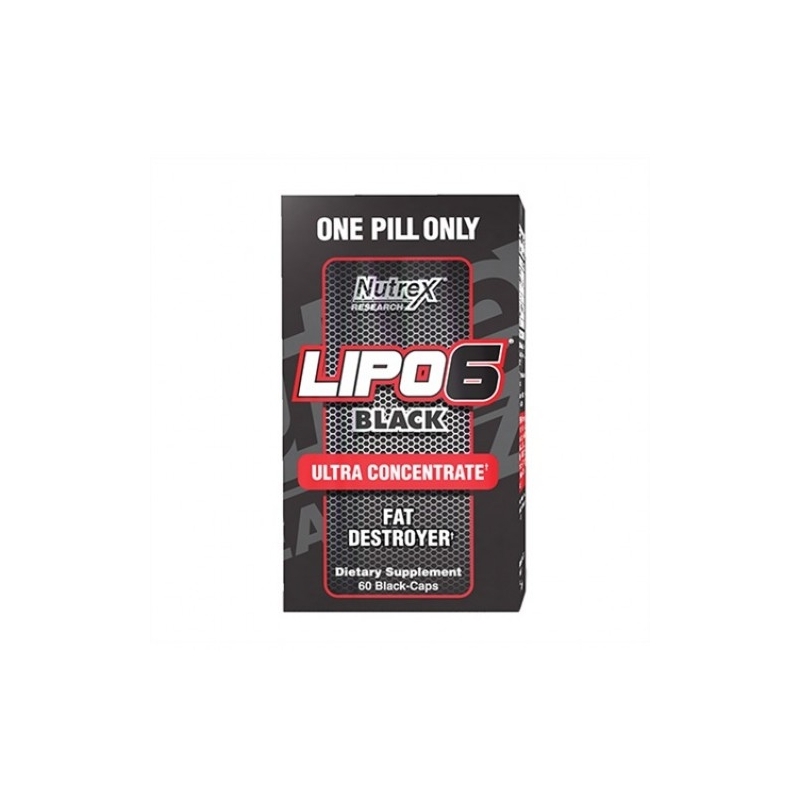 For maximum results consume LIPO-6 Black Ultra Concentrate at least 30 minutes prior to a meal. Do not take within 6 hours of sleep.